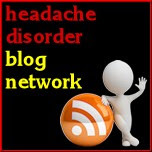 Migraine Monologues: Migraine in the News! Turn on your TV and Radio sets! Today the Migraine Trust and the VERY cool short film made by Saatchi & Saatchi as part of YouTube's film hack event (read all about it here) has been featured on the news! Why? 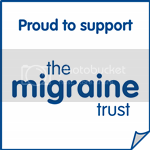 Today the Migraine Trust issued a warning that us 8 million migraine sufferers in the UK lack the support and help we need. Why? Because GP's only receive, on average, about an hours training in Migraine and headache. This needs to change! I have suffered from this lack of training and know many others who have as well. And here is the Saatchi&Saatchi video in full. Migraine is more than just a headache - and needs to be taken seriously by the medical profession. Dont forget! Migraine Awareness Week will soon be upon us! Join in my blog challenge.